From Disney and Jamba Juice to Xbox and Amazon, here’s a list of the 12 BEST Valentine’s Day gift cards for kids. Although not everybody buys lavish gifts for kids on Valentine’s Day, I know a lot of parents who buy their kids at least one present for this holiday. 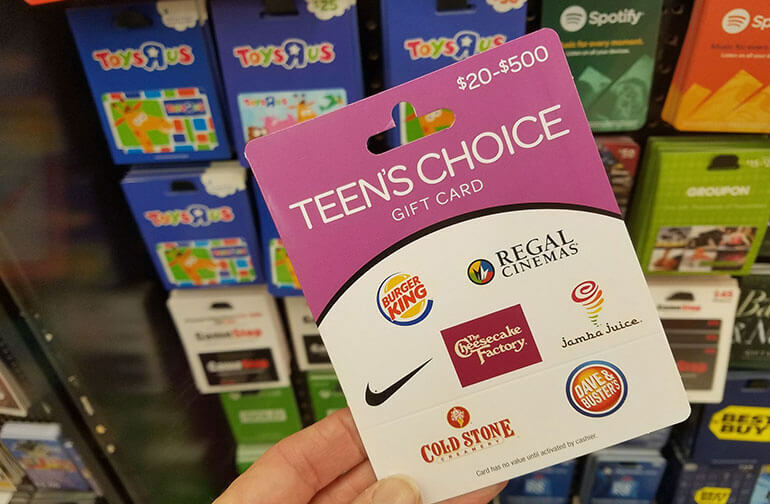 Since gift cards top the list of most-requested gifts of the Christmas and Hanukkah season, it stands to reason that children would still like to get gift cards a couple of months later as well. 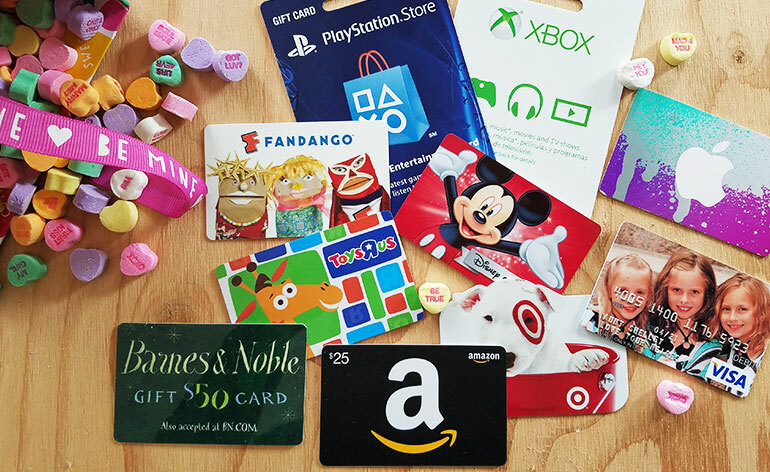 But which gift cards make the best Valentine’s Day gifts for kids? In my opinion (and using the results of this survey on gift cards for kids), the best gift cards are ones that are usable in small-value denominations (without the child or parent having to spend additional money), are usable online or at convenient locations and are redeemable for a wide variety of merchandise. These three qualities help ensure kids are able to redeem their gift cards without too much parental involvement or resistance. Below are the gift cards that top my list of the best Valentine’s Day gift cards for kids. When my kids were little, they used to whine, “Why do YOU get to decide what we can and can’t afford to buy?” As much as they sorta enjoyed going to the store with me, they also got frustrated that I would respond, “no” to nearly everything they asked for. This Valentine’s Day, give your kids the ability to decide which toys, movies, candy, clothes, craft supplies, games and more go into the shopping basket. With a gift card to Target or Walmart, they’ll have plenty of choices. The great thing about gift cards that are good for gaming is that they can be redeemed instantly if the recipient already has the gaming system. The gift cards can be can used to download new games, buy extra “packs” for exiting games or extend a subscription. The only thing you have to be careful about is choosing a card that matches the child’s technology. If you’re not sure, ask mom or dad before making a selection. 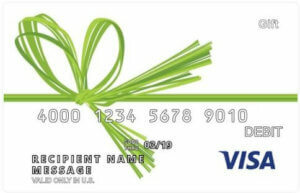 BUY IT HERE: Personalized Visa Gift Cards or Valentine Visa gift cards. Speaking of technology, some young readers may be more interested in learning on their devices than just straight gaming. With gift cards to Amazon or Barnes & Noble, you can download books, music and movies to a Kindle or a Nook. Plus, these websites have hundreds (millions!) of other products to choose from if your child would rather have something physical instead of digital. Although it’s fun for kids to go to the store and buy, it’s also fun to press “add to cart” and run to the mailbox every day after school. For kids who like to play, play, play, a GameStop gift card is the way to go. I have found, however, that sometimes my kids struggle to redeem toy store gift cards because there are almost too many choices. To make the toy store trip successful, read my tips on how to help kids redeem gift cardsy beforehand and make a list of toys your child has been wanting to buy. When sparkly, impulse items jump off the shelves, refer back to the original list and stay the course. Not only do craft stores carry toys and traditional art supplies (think paper, water color paints and yarn), but they also carry rows and rows of scrap booking paper, bins packed full of beads, three-dimensional puzzles, games, stickers and more. My kids love going to craft stores almost as much as they enjoy toy stores–maybe even more. And I like that, once we get home, the television stays off and the paint brushes, scissors and glue all come out. Every so often, on the way home from school, I pile the kids in the car to go get a treat. Sometimes it’s “Slurpee Tuesday” (we made that up) and other times it’s Yogurt Shack or Cold Stone. The treat we get matters less to me than the time we spend together getting it. With gift cards to the ice cream store, yogurt shop, doughnut shop and so on, kids get to go on an adventure. These are also great cards because a little money goes a long way. Like the ice cream and smoothie shop, a gift card to the movies can be a fun treat for kids and families alike. If you’re not sure which theater is most convenient, try a Fandango gift card or a MovieTickets.com gift card. Both allow the recipient to pick a movie at any theater within the partner network. For in-home entertainment, you could deliver a gift card to Netflix or Redbox instead. Deliver either gift card with a box of movie candy or a tub of Valentine Popcorn. BUY IT HERE: Fandango Gift Cards or Regal Cinemas Gift Cards or MoviesTickets.com. Like the craft store gift cards previously mentioned, I think it’s great when you can use a gift card to create a new experience for a child or for a family. In addition to gift cards to places like the zoo, museum or movies, you might also try gift cards that can be used to make something. Build-A-Bear Workshop gives kids the opportunity to make their own stuffed animal. Color Me Mine is a place you can go to paint pottery. You can also try gift cards to a local community center or art studio. If you get a gift card for an activity-based gift card, be sure to choose a dollar amount that allows the child to use the gift card without needing an adult to chip in on the cost. Do a quick check of the company’s website to see how much a typical experience will cost so you can set the gift card amount accordingly. A few years ago, mobile app and music gift cards would not have made my list of the best gift cards for kids, but times have changed. Kids in elementary school and younger often have access to a family device and sometimes even have their own mobile phones. So gift cards like GooglePlay and iTunes can be used to download games, apps and music to the delight of little ones who may even know more about technology than their parents do. Before choosing a gift card, however, check to see what type of technology the recipient has. iTunes gift cards are for Apple products. Google Play gift cards are for Android devices. If you are looking for something new this Valentine’s Day, check out Teen’s Choice gift card. This is a gift card that gives kids a range of places to use the gift card. It has options including some of the restaurants listed above plus entertainment and clothing stores that kids and teens love. I also like that this gift card gives kids (and their parents) options for redeeming the card in a way that is most convenient for the family. If Jamba Juice is too far away, but Nike is next door, kids can redeem the Teen’s Choice gift card there instead. And lastly, unlike a true open loop card (e.g. 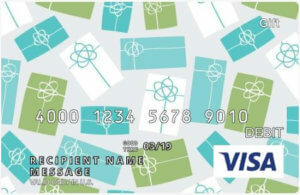 Visa gift card), these category gift cards do not charge activation fees. This is my new favorite type of gift card to give because it offers flexibility for the recipient without additional cost to the giver. 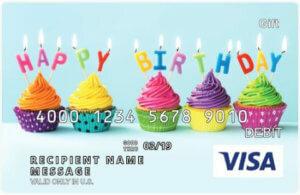 Learn more about Category Gift Cards here. 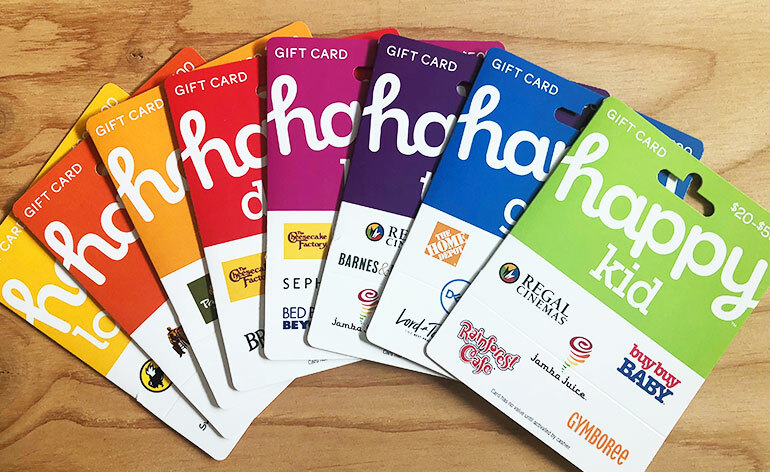 There’s a new type of gift card available called “Happy Cards.” Each gift card offers a collection of brands around a particular theme. The Happy Kid gift card is in the works right now, but there are some other Happy Cards that kids might like. Try Happy Teen or Happy Bites for some suggestions. 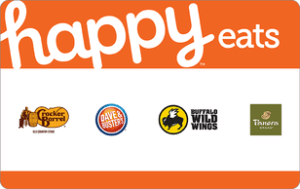 BUY IT HERE: Happy Teen Gift Cards or see the entire line up of Happy Card Gift Cards. Beyond those suggestions, I think Valentine’s Day should be a fairly simple holiday for kids. They have a lifetime of potential romantic anticipation and heartaches ahead. While they’re young, keep it simple and focus on making cards for classmates and shoe box mailboxes. If you want to give your kid a gift for Valentine’s Day, small dollar value gift cards to the stores they love are perfect. That’s all. Happy Gift Carding and Happy Valentine’s Day!